What Does The Offer Section Of The Quiz Builder Do? 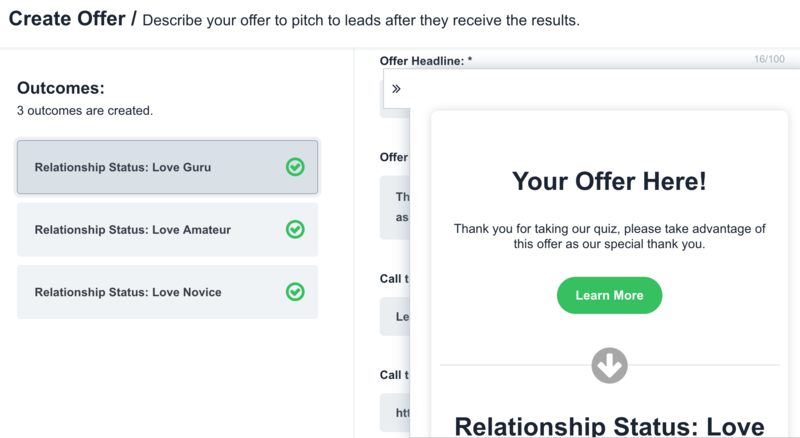 The offer section of the quiz builder is perfect if you want to display an offer immediately after quiz takers enter in their information, before they see their results. You can also include the offer in the outcome section and we recommend you test both to see which one works best for you! 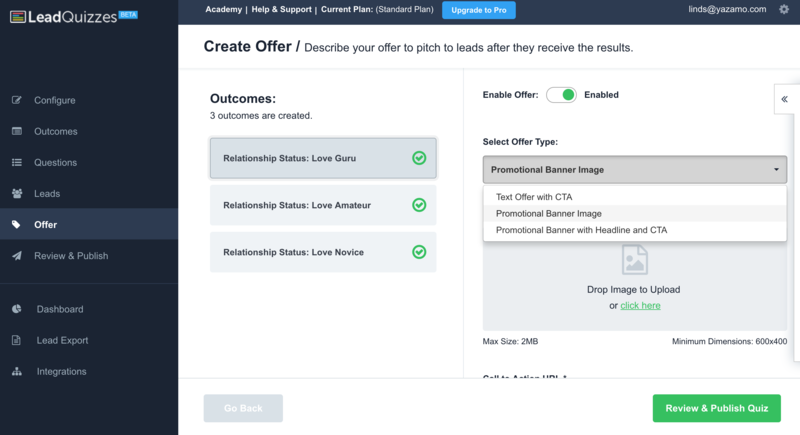 In the offer section of the quiz builder you will want to select the outcome from the options that you would like to create an offer for. To turn on the offer click the "Enable Offer" switch. 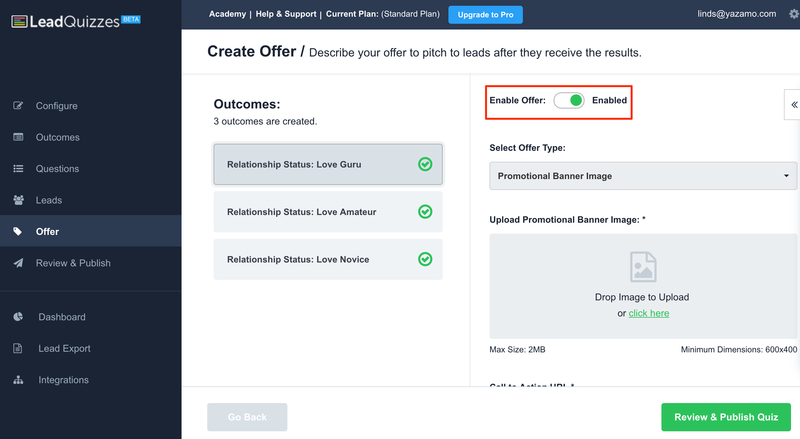 Once an offer is enabled you will see a green checkmark on the selected offer as seen above. 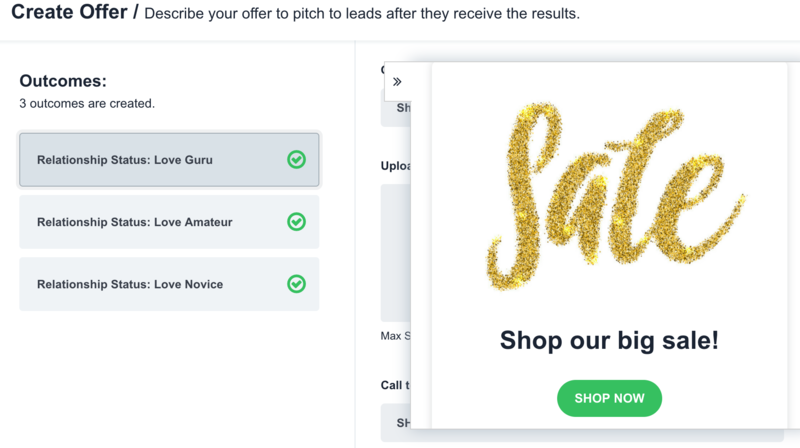 LeadQuizzes offers you 3 different styles of Offers making your quiz unique. Below are the different examples of offers that your quiz takers will see. 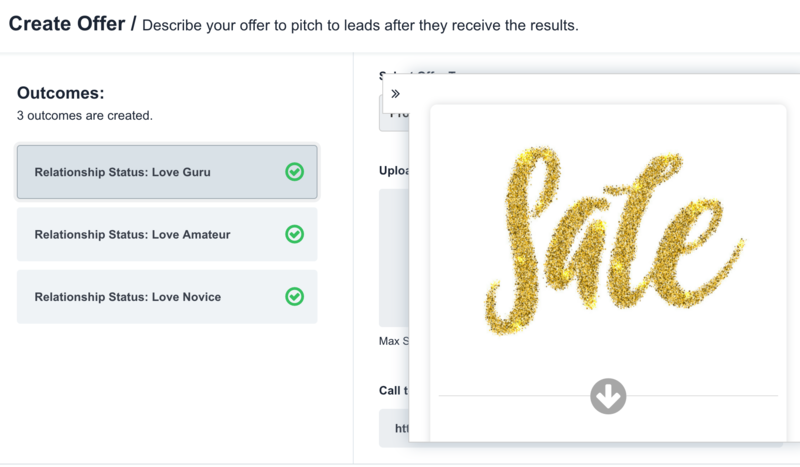 Text Offer with CTA: This option allows you to provide a simple text offer to your quiz takers with a call to action button that drives them to your sales page. Promotional Banner Image Offer: This option allows you to upload a custom image for your quiz takers with the call to action on it. Promotional Banner with Headline and CTA: This option combines the text offer with the image offer! It allows you to upload your own custom image, has a call to action button and additional call to action text! Once you have completed your offer, select Save Offer. When your offers are complete, select Review and Publish to see your quiz before it goes live.